even get up. 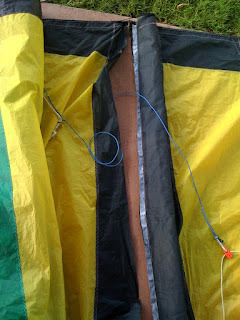 The kite ended up in the waves and suffered a big rip. time to look into a 12 because this 10 isn't doing it for me.